Time to learn Japanese! It’s actually very easy and fun! Japanese is certainly different then English! The written and spoken languages really bound on different aspects. But you would be surprised how quickly you can start to speak and read Japanese. Of course Kanji seems daunting, but over the years of dabbling, I’ve found that the Japanese writing system is actually not too difficult to really figure out at all. In fact in the beginning, you’ll learn hiragana and katakana, which are two ABCDEFG… (etc) based writing systems. 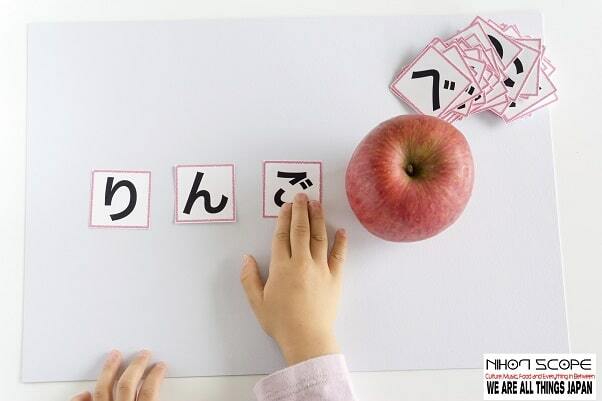 These writing systems are super easy to learn and you could be reading and speaking Japanese within an hour of study. But what does it really come down to when learning Japanese? A certain book, website, event, anime? Well, it really comes to down to using anything that works best for you, and can help you integrate Japanese into your daily life. So I thought I’d share the best ways to learn Japanese (at least in my opinion). #1 Memrise: Is a great place to get some free Japanese lessons, I would be a tad careful using their system because other people can make lessons, and that means there is room for error inside those lessons. But there are really good lessons on Memrise (see Nihonscope’s lessons below), for the most part I like the Core 995 lesson and Memrise has their own couple courses, and there are a few JLPT lessons that you can check out that were created by websites that also teach Japanese, so they can be trusted. Note that we actually know how to create correct courses with the correct spelling. Other courses in Japanese on Memrise have faults in the way the system sees your answers when spelling out certain words. Our courses are free from that spelling error that others leave in or don’t know how to change. #2 WaniKani: I recently just ran into this website, and I was a bit whatever about it at first. But I’m actually learning the On and Kunyami a lot easier with this course then some of the others I’ve used in the past. If you get the free version you can go through your drills every 4 hours. Supposedly you’ll go through 6000 Kanji within a year if you keep with it? But if you buy the subscription ($10), I think you can do your lessons much quicker (Update: You can’t it goes at a certain speed all the time). You can though go to your settings for your free account and tell it you teach you 10 new words with your lessons instead of just 5, which should help a lot when it comes to moving through the Kanji specifically on a free account. I personally like the free account because it’s quick to do, and it at least keeps you on your Japanese studies, sometimes when you have free rein to learn as much Japanese as you want it can become overwhelming, so the every 4 hours is a good way to at least do it once or twice a day for a couple minutes. Just like George Trombley’s book “Japanese from Zero Book 1” Says “chiri mo tsumoreba yama to naru”, which means even dust can become mountains. Little and often make much in other words. I do highly recommend WaniKani though, do it before you get into school, it will make your life much easier with school kanji nonsense! #3 JapanesePod101.com : Japanese Pod 101 is a HUGE website dedicated to Japanese, and I think it’s a pretty good system over all. I and my wife built a huge database of understanding of the language while using Japanesepod101. I like direction when learning Japanese, when left to my own devices I find myself side tracking. Which is why Japanese Pod 101 is #1 in my book right now, it has a lot of options to choose from. 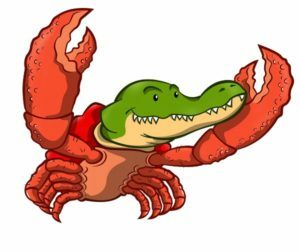 From basic sound files that will teach you basic greetings and how to ask for certain items all the way to complex sentence structures and the writing system. Honestly, if I were you and you were super serious, I’d get the personal mentor package, I firmly believe that’s what help me and my wife level up our understanding of Japanese while we were in the care of Japanesepod101! The best way to learn Japanese is to speak and listen to an actual person, and be able to get immediate feedback, honestly, there is nothing better then that except moving to Japan, which you’ll learn more about when you read #6 Go Go Nihon. #4 YesJapan.com : George from Yes Japan grew up in Japan when he was a kid and ended up becoming a translator and has done really well doing it. His site is accompanied by his learn Japanese book series called “Japanese from Zero” and I believe there might be 5 book levels, but I’ve only been able to find 4 books. 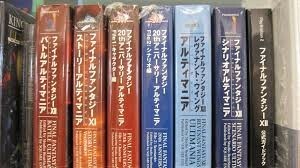 Either way his website at YesJapan.com is basically the digital version of those books. I don’t much care for the website per se, it’s still good mind you, but I much prefer the books over the site. 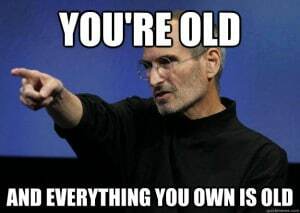 BUT!! He has a HUGE video series he does that you can access even with a free membership, and I’ve been able to pick up some good stuff that I had otherwise not known about the language and on how the customs are in Japan. So I’d say get the books and if you’re serious, I’d say get a membership to simply go through his video series. 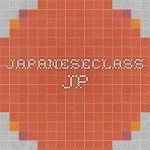 #5 JapaneseClass.jp : Japanese Class is a website I found a long while ago back when it was first really coming about, but I think it certainly has gained my respect over the years. It’s free, but there is donation option if you find you are really digging the lessons. They also have a spaced repetition technique being used on the website. I find this website is great for reading and basic vocab. I think I made it a couple levels in it before I found Japanesepod101 and honestly never really looked back, BUT, I like JapaneseClass.jp and I still think it’s a great way to learn Japanese. In fact, if I remember right I used Japanese Class to learn my Hiragana and Katakana when I first starting with writing and reading in Japanese. 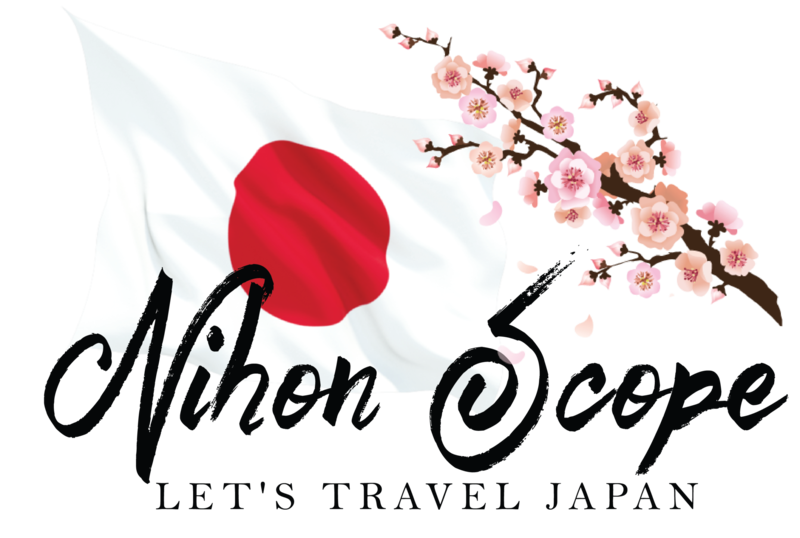 #6 Nihon Scope Travel and School Enrollment: That’s right we’ve gone from experiential blog to a fore front of the industry for school enrollment (finding you the best school to go to) as well as becoming an industry expert in purchasing in travel to Japan: affordable tickets, hotels, rail passes as well as tours. That’s just the tip of it. For the moment if you’re looking to book flight or find a school that works for you contact us through our Facebook page here. Don’t go at it alone, we know what it takes to get you to Japan and into that perfect school. We (my wife and I) took the hard road and paid a big price (you can see our review of the school we went to thanks to Go! Go! Nihon). Your trip to Japan is precious, don’t let people who don’t have your best in mind steer you to where THEY want you to go. We don’t have affiliations with schools like Go! Go!, we find the perfect one for you and payment is either 90% through the school we find you. When or if there is a fee it’s usually to help you get all the necessary information to be able to go to the school you want. We find ways to always make our services free to students and keep fees and percentages low for tour packages and flights. Just the other day we booked a group airfare from Boston, USA to Osaka, Japan for $600 ROUND TRIP for each person. That’s over 66% off the normal price. We’re all things Japan, what can we say? This is a huge website with resources on how to read kanji that I suggest. HiNative is a global Q&A platform where you can ask native speakers any language and culture questions. Lang-8 is a language learning platform where native speakers correct what you write. Kanji Study is my ongoing project that attempts to be an easy to use and helpful app for learning Japanese kanji. Is a resource for those who want to learn Japanese grammar in a rational, intuitive way that makes sense in Japanese. Notice I don’t suggest Rosette Stone? I personally have NEVER made any REAL progress with Rosette Stone, it just doesn’t really settle in (for me). In fact when I first started becoming interested in Japanese back when I was 14 years old, my parents bought me level 1-2 of Rosette Stone, and I think I made it into the second lesson, and sure I went over those lessons many times over the years, but all I can simply say about it is that I know how to say and hear/understand Yellow, Airplane, Under, Above, Cat, Dog, Man, Woman, Little Girl, Little Boy some more colors… But after that I couldn’t stand it, I couldn’t keep going, because after the 2nd to 3rd lesson, it just gets crazy and the more I traverse this Japanese learning area of the internet, the more I notice I’m not alone for the most part, although some swear by it, but… Not me. I can’t, if it worked for you, that’s freak’n awesome, I guess I try to think to much about whatever little particle means so I couldn’t let myself continue using it because I never could figure it out without having to look stuff up, which then made me not want to do it anymore beyond that point. I’m also a huge fan of learning through books. I’ve literally spent THOUSANDS UPON THOUSANDS of dollars several years ago, trying to find the very best books, software and audio books I could find. I’ve even purchased hypnosis audio tracks for Japanese (which I could say seemed to work well from what I can notice), but I can say this: Out of all the resources I’ve purchased and gone through, it really has come down to only a few books a few websites and a few online teachers that have really pulled their weight…. and funny enough, most of the great resources I suggest are free. These books over all will cost you, but I’d say you could take my experience and opinions and avoid having to pay out ridiculous amounts of money trying to find the best books… and of course, I’ll add anything else here that I come across that I recommend. Remember though, it’s up to you to find your rhythm in how you work best studying and remembering Japanese. Great book series if you are more into physical work books! Really starts out basic and slowly emerges you into the book series. I notice that he teaches a few things a bit differently then say in other learning programs but I think it’s pretty cool to get a few different points of view when it comes to learning Japanese, so I personally welcomed the few tiny differences in teaching and even saying certain things in Japanese a bit different than taught in other programs. George comes from a very practical background with his teachings, it’s stuff you’ll ACTUALLY USE while in Japan. This is an interactive book that walks you through these two different writing styles. I honestly thought I knew most of everything I needed to know for Hiragana and Katakana after JapaneseClass.jp but this book proved me wrong, there is several advanced techniques in hiragana and katakana that most regular guide sites and books don’t go over. Great introduction to Kanji and it’s history of how it’s formed over the centuries. I’d say it’s not just great for getting the basic kanji down, but the history part of this book is well worth it and will help you understand the culture from a writing stand point a bit more then you have before. I found this to be a rather fun book to go through after the long winded introduction of the book. I actually learned A LOT from this book, as long as you have the will to press through this book you’ll really enjoy it and it will be massively beneficial, especially if you are looking to read manga comics in Japanese! I found this book to be great in helping with particles so much that I solely recommend this book singly for that. Although I honestly have not made my way all the through the book yet, but I’m quite impressed with what I’ve gone through so far. This is a great book that will help you understand the complexities of Japanese but also helps you see it in a totally different light. I’d say it’s not going to drastically make you better at Japanese, but I’d say for those who are serious, it’s a good book to thumb through. #7 – I’m currently looking into Shadowing: Let’s Speak Japanese, Shadowing is a specific technique to learn Japanese which I’ll be covering later down the road. I recommend flash cards for vocab, hiragana, katakana and kanji. My wife Sasha and I will take these into restaurants and use flash cards while waiting and after eating. It’s a great way to transform idle time spent at a restaurant and over the years I’ve been able to go through several different difficulty packs of flash cards, and honestly when it comes down to it. I don’t think I would ever actually go through the flash cards like I do if we did not create that ritual with learning Japanese. So something to think about, it doesn’t have to be at a restaurant, maybe you have a lengthy ride on the bus or you have idle time during the day. Make it a ritual and use that time to benefit your Japanese over time! There is one piece of software which I’ve been using since I was 14, is Kanji Gold it’s a simple program that can help you easily recognize kanji, it goes all the way up to grade 10 (or 0), there is thousands upon thousands of kanji in this program. I’ve dabbled with it for quite awhile, and there are many different ways you can use it. I’d say the best way to learn how to use it is simply by downloading it for free and check it out and see if it complements your learning style. This is a great way to at least start recognizing kanji in terms of it’s singular form, but I would also suggest using WaniKani for learning how to say it and what the Kun and On’yami are. But you could thumb through this program to get a crash course before moving on. I’m sure this can help some get their feet wet, but again, I think WaniKani can help much more then Kanji Gold now. So there you have it, my (mostly free) learn Japanese resources, I’m sure I’ll be adding to this as time goes on but for now. This is way more then enough to help you become fluent quicker in Japanese.